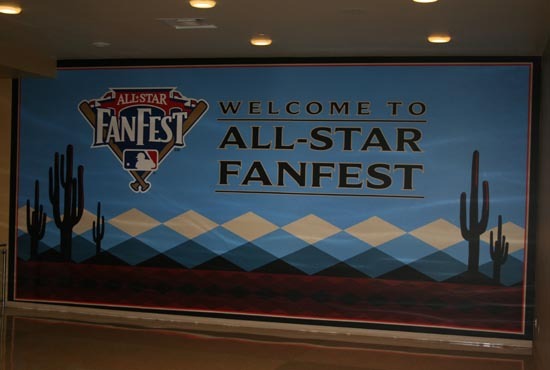 The 2011 MLB All-Star FanFest is officially underway at the Phoenix Convention Center in Downtown Phoenix. With 350,000 square feet of interactive baseball entertainment, FanFest provides visitors with an unparalleled baseball experience. The event, which is now in its 21st year, has drawn more than 2,100,000 fans during the past 20 seasons. 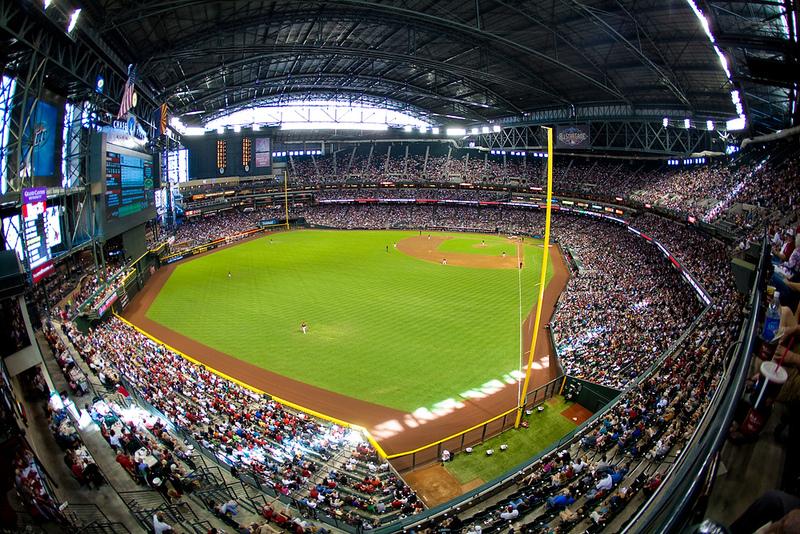 In the spring of 2009, Major League Baseball Commissioner Bud Selig announced that Chase Field would play host to the 82nd MLB All-Star Game. Now in 2011, All-Star week is just days away. It’s bound to be an action-filled experience as many of baseball’s biggest stars gather in the Arizona desert, so D-backs Insider takes a look at some of the upcoming festivities at the ballpark. When the D-backs take the field at Oakland Coliseum this weekend, they’ll see a familiar face in the opposing dugout. That man is A’s manager Bob Melvin. The former Arizona skipper took the reins of the Athletics last month, when he was tabbed by General Manager Billy Beane to become interim manager. This came after Melvin had returned to the D-backs organization as Special Baseball Advisor. Oakland is Melvin’s third-career managerial post. He guided the Seattle Mariners from 2003-04 before leading the D-backs from 2005-09. In the desert, Melvin’s D-backs claimed the 2007 National League West crown en route to NL Manager of the Year honors that year. Nowadays, the D-backs are led by second-year manager Kirk Gibson who has his team six games above .500 and just two games out of first place. After serving as his bench coach just a few years earlier, Gibson will face off against Melvin in a three-game set that kicks off Friday night. This series in Oakland is the D-backs’ final Interleague action of the season. 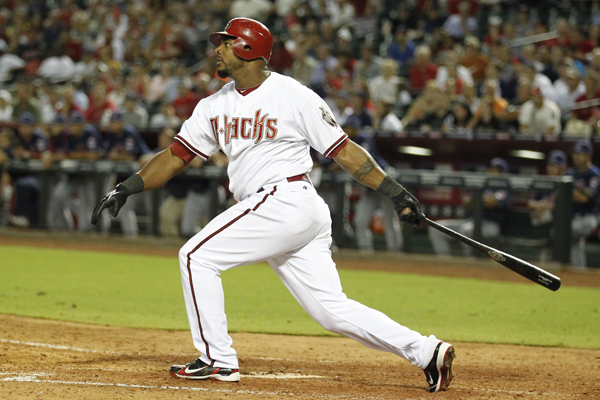 Heading into 2011, the D-backs owned a 90-112 all-time record in Interleague Play. They have posted a 9-6 mark against American League foes this season. The D-backs also finished the month of June at 14-13, which was their second-consecutive month with a winning record. They went 19-10 in May. While Gibson is pleased that his former boss has returned to managing, he knows it’s going to be a competitive series. In last homestand’s edition of D-backs Insider magazine, Ryan Roberts was labeled a sparkplug. It was a perfect label for a player that consistently makes things happen in the field and at the plate for the D-backs. On Tuesday, Roberts was up to his usual habits. With the score knotted at 4-4, Roberts led off the bottom of the ninth inning by drawing a walk against Indians left-hander Tony Sipp. Roberts wasn’t about to drop anchor at first base, but instead he was soon off to the races. He quickly swiped second for his 10th stolen base of the season. Several pitches later, Roberts was in motion once again. This time he bolted toward third, reaching safely with ease. All of a sudden, the winning run was just 90 feet away. Roberts was hoping to do anything he could to draw Sipp’s attention from the pinch hitter Wily Mo Peña. After missing on a breaking ball to start the at-bat, Peña drilled a two-run walk-off home run into the left-field bleachers to seal the 6-4 win. It was Peña’s second career walk-off homer. To say Daniel Hudson helped his team defeat the Indians would be an understatement. The D-backs’ right-hander did everything he could against Cleveland on Tuesday night. Hudson turned in a complete effort by contributing both on the mound and at the plate. In his 17th start of the season, Hudson unleashed eight solid innings, allowing just a pair of runs on six hits. Hudson retired the Indians in the second, fourth, and sixth innings. He also notched five strikeouts to raise his season total to 92. It was Hudson’s 13th quality start of the 2011 campaign, which leads the Arizona pitching staff and is tied for third in the National League. Hudson helped his cause by laying down a two sacrifice bunts in the game. He also laced an RBI double into the right field corner in the fifth inning. He now leads the D-backs’ pitching staff with seven RBI. Despite not getting the win himself, Hudson was pleased with his overall effort against the Tribe. Just hours after arriving at Chase Field as a new member of the D-backs’ bullpen, lefty reliever Alberto Castillo toed the rubber. Gibson called on Castillo in the middle of the ninth inning to face Lonnie Chisenhall. The new D-back did his part by freezing Chisenhall on strike three to end the inning. He would also earn the win, thanks to Peña’s blast one inning later. Tuesday’s appearance was Castillo’s first Major League outing since June 8, 2010, when he was a Baltimore Oriole. The D-backs made some changes to their bullpen on Tuesday by selecting the contracts of relievers Yhency Brazoban and Alberto Castillo from Triple-A. To make room for them on the active roster, Esmerling Vasquez and Bryan Shaw were sent back to Reno. Both hurlers were pitching well for the Aces before receiving the promotion to the big leagues. Castillo recently joined the Arizona organization via a Minor League deal on June 17. The left-hander made five appearances for the Aces, four of which were hitless outings. Castillo reached the Major League level with the Baltimore Orioles. From 2008 to 2010, the southpaw posted a 4.81 ERA in 62 games. In 48 2/3 innings of work, he struck out 42 batters. Castillo’s recent success at Reno made him an attractive option for the D-backs. Brazoban meanwhile earned a 1-1 record and a respectable 2.70 ERA in his eight games at Reno. Brazoban is a familiar name for the D-backs, spending parts of five seasons with the division-rival Dodgers. He was most recently in the Major Leagues in 2008, and owns a 10-12 mark and a 4.70 career ERA at the big league level. The additions of Brazoban and Castillo provide the D-backs with a pair of fresh arms. By selecting Castillo, Gibson now has the luxury of having two southpaws in the bullpen. After a catching fire in mid-May, the D-backs have cooled off a bit here in June. Arizona has suffered three consecutive losses, heading into Tuesday night’s contest against Indians. 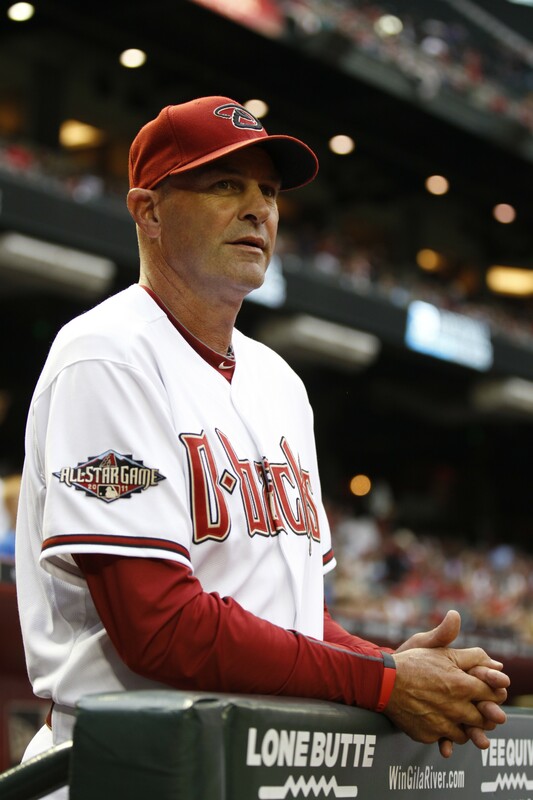 Although the D-backs have battled some adversity as of late, Gibson remains confident that his team will get back to its winning ways. The Cleveland Indians and Arizona Diamondbacks have been two of baseball’s most surprising teams in 2011. Both teams have surpassed expectations and sit near the top of their divisional standings. The D-backs are set to host the Tribe in a three-game set this week in the final home series at Chase Field before the All-Star break. Arizona enters tonight’s series at 43-36 and 1.5 games out of first place in the NL West, while Cleveland owns a 40-36 record and trails first place Detroit by 1.5 games in the AL Central division race. After suffering 93 losses a season ago, few saw the Indians competing for a division title this season. In the bullpen, closer Chris Perez has locked down 18 saves. Shortstop Asdrubal Cabrera makes highlight-reel plays on a routine basis, while designated hitter Travis Hafner is red-hot with a .338 batting average. Prior to Monday’s series opener, Cleveland promoted former first-round pick Lonnie Chisenhall from Triple-A Columbus. With both teams just 1.5 games out of first place, it’s sure to be entertaining. 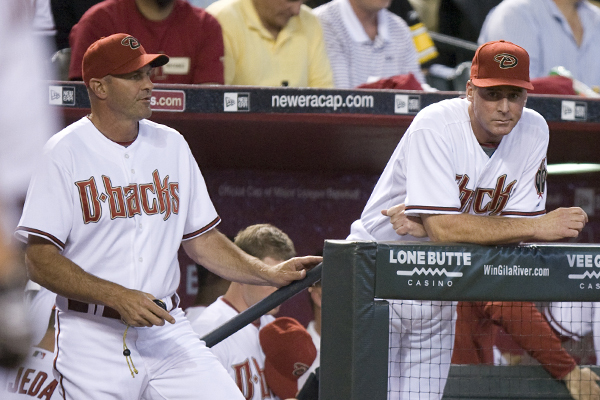 Throughout Gibson’s tenure as D-backs manager, he’s spoken of the impact his former manager Sparky Anderson had on him. Gibson played for Anderson’s Tigers from 1979 to 1987. Under Anderson’s direction, the Tigers won 104 games in 1984 en route to a World Series championship. On Sunday, the Tigers honored Anderson by retiring his famous No. 11. Since the D-backs were in Detroit wrapping up a three-game series, Gibson and bench coach Alan Trammell were on hand to witness the tribute. Although Gibson last played for Anderson over two decades ago, his impact is still felt to this day. Interleague play continues for the D-backs this weekend as they travel to the Motor City to take on the Tigers. Arizona is fresh off a three-game sweep of Kansas City and maintains a slim half-game lead for first place in the National League West. The Tigers return to Comerica Park after a 2-4 road trip on the West Coast. For several D-backs, playing in Detroit will be a homecoming, of sorts. Manager Kirk Gibson and bench coach Alan Trammell both starred in Detroit during their playing days. Closer J.J. Putz is also a Michigan native and attended the University of Michigan. This weekend’s series is extra special for rookie pitcher Josh Collmenter. According to the Battle Creek Enquirer, the town of Homer, Mich., welcomed him back on Friday by celebrating Josh Collmenter Day. The right-hander was greeted by plenty of fans at the downtown celebration on Main Street, and was awarded a plaque celebrating the event. Collmenter is slated to toe the rubber against Tigers ace Justin Verlander in Saturday’s game. The D-backs rookie owns a 4-3 record with a 2.09 ERA in 15 appearances this season. ­D-backs Insider recently caught up with Collmenter to talk about his homecoming and growing up a Tigers fan. The 2011 XM All-Star Futures game at Chase Field will feature a pair of D-backs top prospects. First baseman Paul Goldschmidt and pitcher Tyler Skaggs have been selected to participate in this year’s event. The 13th annual Futures Game will take place on July 10 and showcases many of baseball’s elite prospects on two teams: U.S. and World. In this year’s contest, Goldschmidt and Skaggs will be teammates on the U.S squad. After being drafted by the D-backs in the eighth round of the 2009 MLB Amateur draft, Goldschmidt has torn through Minor League pitching. In nearly three seasons, the hard-hitting first baseman has crushed 75 home runs, 83 doubles, and 231 RBI. He batted .334 and .314 in his first two seasons, respectively. 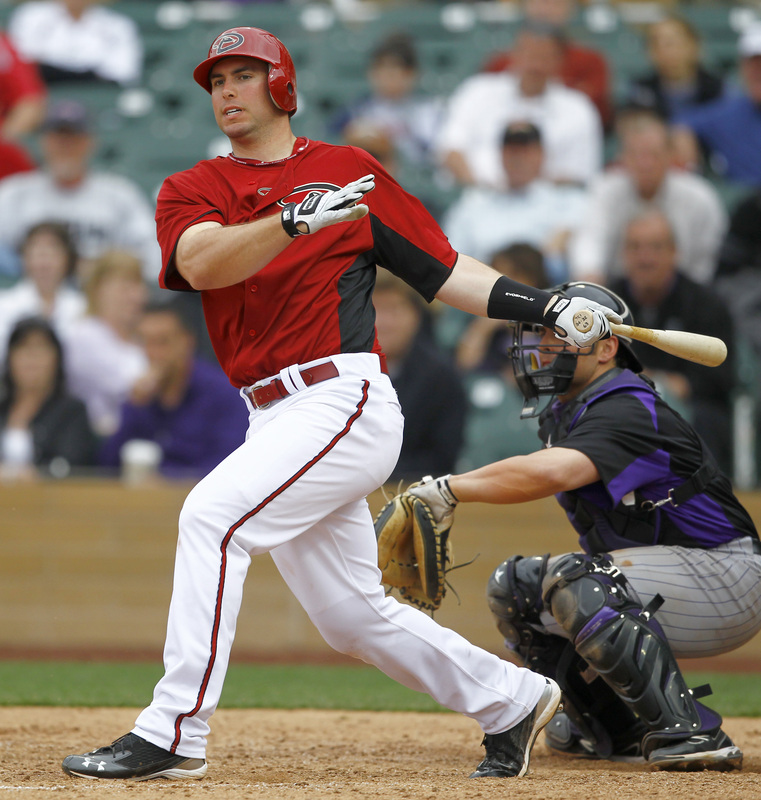 In 2011, Goldschmidt keeps on hitting and is enjoying a standout season at Double-A Mobile. Through 70 games, he is hitting .328 with 22 homers and 61 RBI. Despite his recent success, Goldschmidt only wants to get better as his season continues. Goldschmidt recently participated in the Southern League All-Star Game, where he launched a two-run homer in the first inning. Then there’s Skaggs, who was acquired last summer in the Dan Haren trade with the Angels. Skaggs was a first-round draft pick by Los Angeles in the 2009 draft. With an electric arsenal of pitches and smooth mechanics, the southpaw has immediately become one of Arizona’s top pitching prospects. As a member of Single-A Visalia’s starting rotation, Skaggs has a 3.36 ERA and 4-5 record in 14 starts this season. Following last year’s trade, he made four starts for South Bend, where he went 1-1 with a sharp 1.69 ERA. In Skaggs’ 83 innings of work, he has tallied 102 strikeouts, which leads the entire California League. After a slow start to the season, Skaggs has found his groove in recent weeks. Skaggs was also a recent Minor League All-Star when he started for the California League in the Single-A All-Star game against the Carolina League on June 21. Goldschmidt and Skaggs are the latest D-backs to suit up for the Futures Game. Shortstop Stephen Drew, pitcher Daniel Hudson, and outfielders Justin Upton and Chris Young were all participants in past Futures Games. In search of some pop in the designated hitter slot, the D-backs selected the contract of Wily Mo Peña from Triple-A Reno prior to Tuesday’s series opener against Kansas City. With Arizona playing six straight and nine of its next 12 games in American League parks, Peña is the likely candidate to serve as the regular designated hitter. On Tuesday, he was penciled into the starting lineup in that spot, batting seventh. He wasted no time in making his presence felt by crushing a solo homer to deep centerfield in the fifth inning. That blast was Peña’s first big league home run since 2008 and knotted the score at 1-1. After signing a minor league deal with the D-backs in the offseason, Peña posted a monster first half of the year at Triple-A Reno. In 63 games, he smacked 21 homers, 17 doubles and 63 RBI, while hitting a red-hot .363. While home runs have always been a part of Peña’s game, he now focuses more on hitting for average. The D-backs hope those impressive numbers will translate to the Major League level. Since the beginning of June, Justin Upton has been nearly unstoppable at the plate. This month, he is hitting .417 with 30 hits, nine doubles, a walk-off homer, and 11 RBI. Upton took home National League Player of the Week honors last week when he hit .552 in seven games. He also led the Major Leagues in hits with 16. Upton’s hot hitting continued into Tuesday’s 7-2 win against the Royals. He collected two more hits, both doubles. In the sixth, Upton’s RBI double gave the D-backs their first lead of the game. Despite being shut down by Royals’ starter Luke Hochevar early on, Upton and the D-backs’ offense caught fire in the later innings. Interleague play resumes for the D-backs this weekend, as they play host to the visiting Chicago White Sox at Chase Field. It will be a series filled with familiar faces for D-backs right-hander Daniel Hudson. The pitcher is in the midst of his second season in Arizona after being traded from Chicago to Arizona last July. Hudson will toe the rubber in Friday’s series opener against Edwin Jackson. 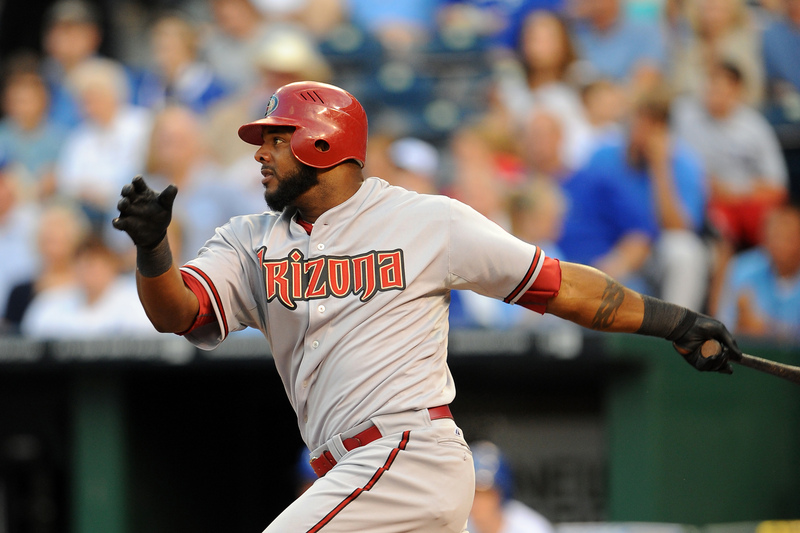 The D-backs shipped Jackson to the Windy City near last year’s July 31st trade deadline. In return, Chicago packaged Hudson and Minor League pitcher David Holmberg to the desert. While the D-backs made a variety of roster transactions last summer, the Hudson trade continues to pay immediate dividends. Heading into Friday’s game, he boasts a 7-5 mark with a 3.82 ERA. In his start last week against Florida, he unleashed six innings of one-run baseball to earn the win. On the other hand, Jackson is 4-5 with a 4.39 ERA in 13 starts for the White Sox this season. Hudson was a fifth-round pick by Chicago in the 2008 amateur draft out of Old Dominion University. He later signed on June 15 that year, and made his Major League debut on Sept. 4, 2009. The 2010 campaign saw him make three starts with the White Sox. He went 1-1 with a 6.32 ERA. Since arriving in Arizona, Hudson has settled in nicely as a key piece of the D-backs’ starting rotation. Hudson has teamed with fellow starter Ian Kennedy to form a formidable 1-2 punch at the top of the rotation. The duo has combined for 14 wins through June 16. Last season, Hudson burst onto the National League scene by posting a 7-1 record in his 11 starts. He allowed two earned runs or less in all but one of his starts, when he surrendered just three earned runs. He has experienced similar success on the mound once again in 2011. Hudson won three consecutive starts from May 17 to May 27. Friday night’s start will be Hudson’s 15th of the season, and one he’s been looking forward to for a long time. This weekend’s Interleague series has been on Hudson’s radar since the 2011 regular-season schedule was released.